I admit I say this A LOT. “Life happens”. 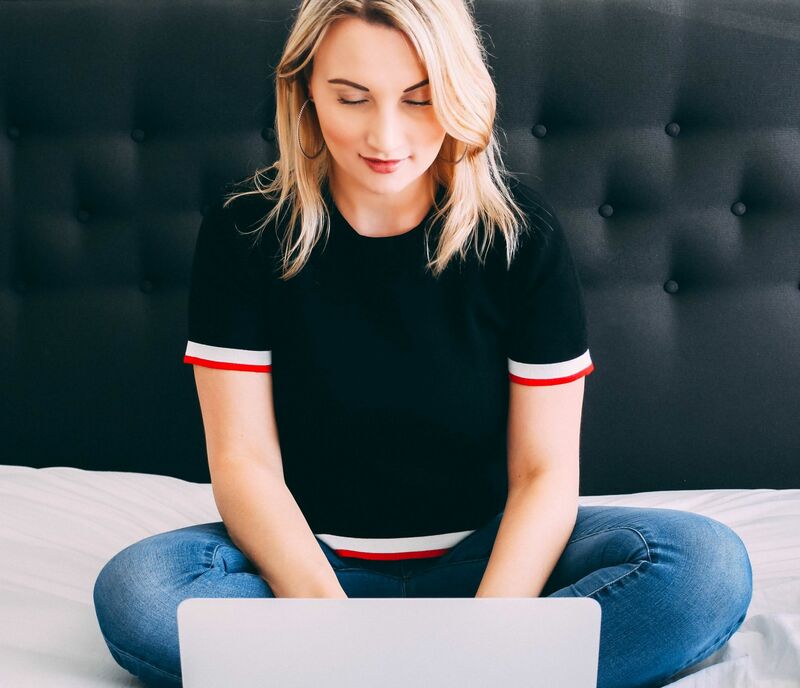 It might especially ring a bell with bloggers (when we hit the writer’s block or when we are snowed under with non-blogging-bubble commitments). I’m sure those of you who don’t own a blog can relate as well. Sometimes things just don’t go according to the plan. Sometimes your plan changes. Life happens, and one day you realize that you haven’t posted in over a month (!!!). And I did miss blogging. I am finally getting out of this non-blogging funk and getting excited about writing, editing, sharing, posting and connecting. Just the way I did 2 years ago when I started Miel and Mint. I hit some sort of a slump. That (quite worrying at times) I-don’t-know-why-I’m-not-blogging slump. 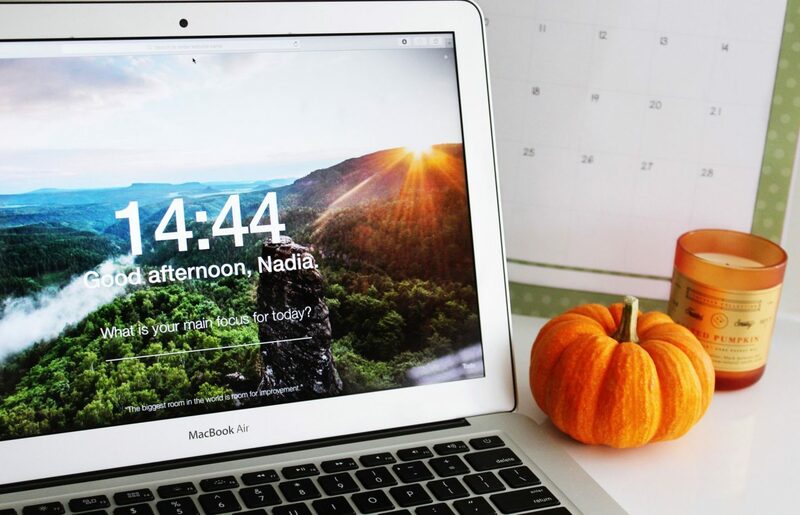 Having an innate passion for planning, I had a perfectly organised 2-month content schedule when I started posting more or less regularly in the beginning of September. And then I went to Ukraine. To be fair, I had a memory stick full of photos I was going to edit while being away + Word documents with notes of what I was going to talk about in the next 5+ blog posts. That memory stick went back to the UK in my hubby’s suitcase leaving me for the next 10 days content-less. I know, what a rookie mistake. Plus, there’s also an unspoken rule in the blogosphere: always have at least 3 pre-written and saved blog posts in that magic place called the Draft folder. I had none. Blaming the slump. If you’ve been a reader for a while, you know that I’d always spent hours (and sometimes days!) working on a single post. And more often than not, the majority of my posts are quite “wordy”. But this time things went extreme. Days turned into weeks. Weeks started to pile up. You know the rest. And things were busy in that department as well. As you might know, back in March hubby and I were told to look for a roof over our heads because our (now former) landlord was selling the apartment. If you told me 7 months ago that in October I would be typing this blog post in our own super cozy living room, I would most likely be replying, ‘Ha, I wish’. I’m so thankful it all worked out exactly the way it did. After what-felt-like-forever (think all the “fun” stuff: selling, applying for a mortgage, packing, moving) we finally settled. And we are so happy. Moving is hard, y’all. And then, it’s a whole different story when you find yourself in 4 walls with no furniture. Or TV. Or internet (imagine that!). I have no clue how we are “surviving” on 40 GB a month of data allowance. Without going into too much details, let’s just say that I’m not the biggest fan of BT at the moment. Until they stop channeling their inner Regina George and hook us up with unlimited broadband. Then my feelings towards them might warm up. Other than that, we LOVE our home. It will take time to get it all sorted out – and it’s OK. We’re getting there. I can’t complain because I have the flexibility with what I do. I know most people don’t. But then, there are days when you walk through the door at 8:45 pm the last thing you think about is blogging. It’s all about the “survival instinct” at that stage – eat and sleep. Last week I also had a very intense interpreting job which left me absolutely drained for days. Don’t get me wrong. I love what I do. I thrive when I’m crazy busy. But it kind of thrown the blogging part of life in the back seat. It’s like riding a bike, I guess. If you know how to do it but aren’t riding regularly, you would be shaky at first. To be fair, you might not even want to get on that (metaphoric) bike because it’s been a while. This reminds me of that beautiful day in Bruges when we rented (actual) bikes. I was excited but deep inside I was panicking. Because it’s been 10+ years since I last sat on a bike. As a result, I almost bumped into the parked car, freaked out big time when the truck drove waaaay too close to me and counted at least 15 pedestrians who looked terrified when I swooshed by. 20 minutes later, and things changed. I was steady. I was in control. Cobbled streets, cars, horses, people – nothing scared me any more. I got my skill “back”. The same applies to blogging in a way. I haven’t written in a while. So every time I sat down to work on a post, I’d be playing a staring game with a blinking cursor. And I’d lose every time. I think the first time it hit me that I needed to take a break from all things blogging was last year. Circumstances aside, I knew I was drained. I was tired. I felt uninspired. I needed to get away from social media. It was making me feel miserable about myself and my blog instead of triggering my creativity or helping me connect with others. I think I took about 10 days off. That’s when I wrote this post (which, to be honest, I am still so proud of). 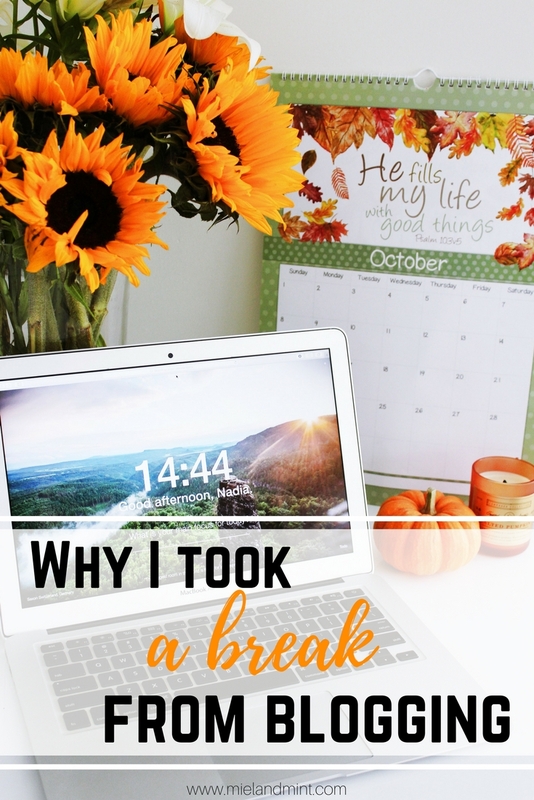 It taught me a valuable lesson – it’s OK to take a breather from whatever it is you’re doing. Being an “active” full-on blogger puts A LOT (!) of pressure on you. I’m not going to go into detail of what we do on a daily/weekly/monthly basis as bloggers because that list would fit into a dissertation, not a paragraph of a blog post. I struggled with a lot of elements of being a blogger. Especially social media. I was pushing myself a lot to do this or that because “everyone is doing it” to be a “successful blogger”, and hit the wall. I was exhausted. On top of that – comparison. We all look at these perfectly curated IG feeds and it makes us wonder what we’re doing wrong. Guess what? Nothing. Absolutely nada. You have no idea how the person feels or what they’re doing when that clip ends in their Insta story. Nobody’s life is perfect. And, thankfully, yours is 100% unique. You’re the one making choices how you decide to live it. Social media is amazing because it keeps us connected, aware, inspired. But it can take its negative toll. We, bloggers, love what we do. That’s why we don’t stop despite the struggle. So I took a long one. For many reasons. To re-charge. To get inspired. 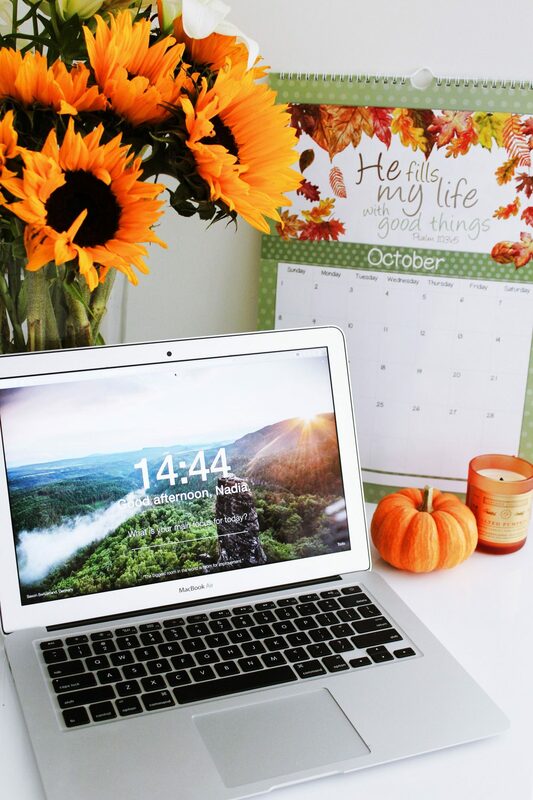 To step back and appreciate afresh how much I love blogging. Blogging is a HUGE part of my life. It’s something I truly love and want to keep exploring and enjoying. For many many years. Unless the whole platform changes and we have to switch to something else. Totally unrelated but where is my hoverboard (the one that doesn’t touch the ground, Back To The Future style), amirite guys? Anyway, if you are in some sort of a slump at the moment, whether it’s in blogging, at work, at university, at home, with your diet or fitness or your life in general, consider this blog post a sign. – draw inspiration and hop on that metaphoric bike again. You are enough and you don’t have to be like someone else or “out-better” others. Just do what you love. Don’t quit. Take a break when needed, to look after yourself or attend to important commitments and spend time with loved one. And you will be golden. Leave a comment and let me know if you ever hit the wall with something you love doing. How did you get out of the slump? I’m so happy to be out of the woods!